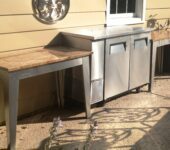 Your kitchen table transformed for the outdoors. 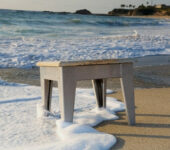 The Laguna Side Table is yours to configure. 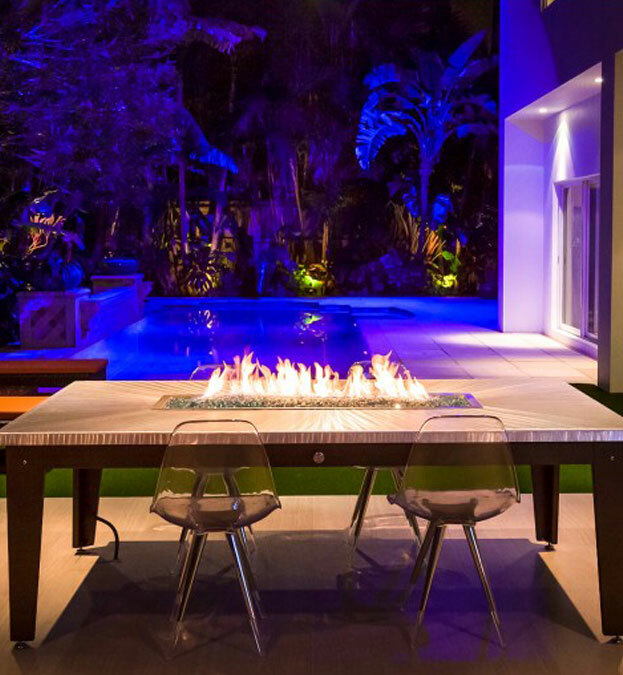 We offer this unique table in a fire pit and non-fire pit configuration. 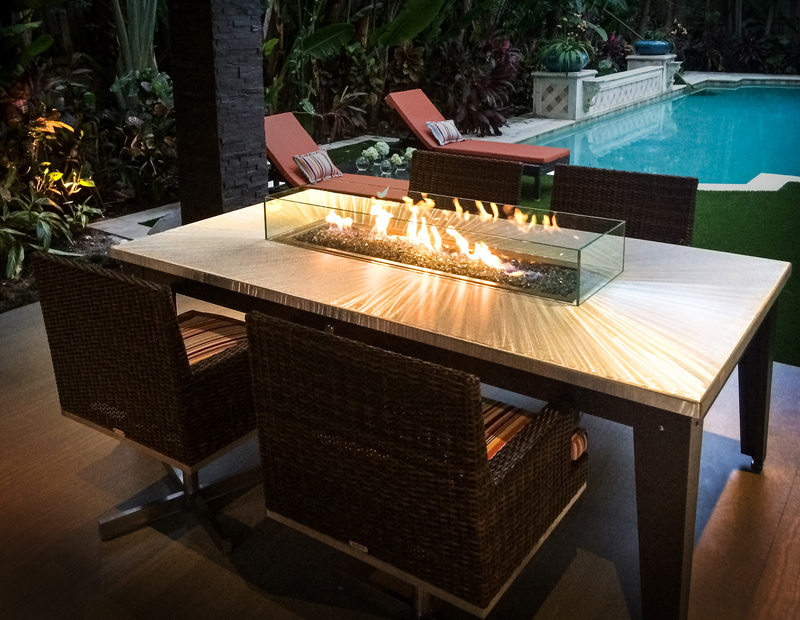 With the Laguna Side Table our goal is to create a beautiful traditional outdoor table that matches the your indoor space, patio hardscaping, or COOKE Laguna fire pit and BBQ island. 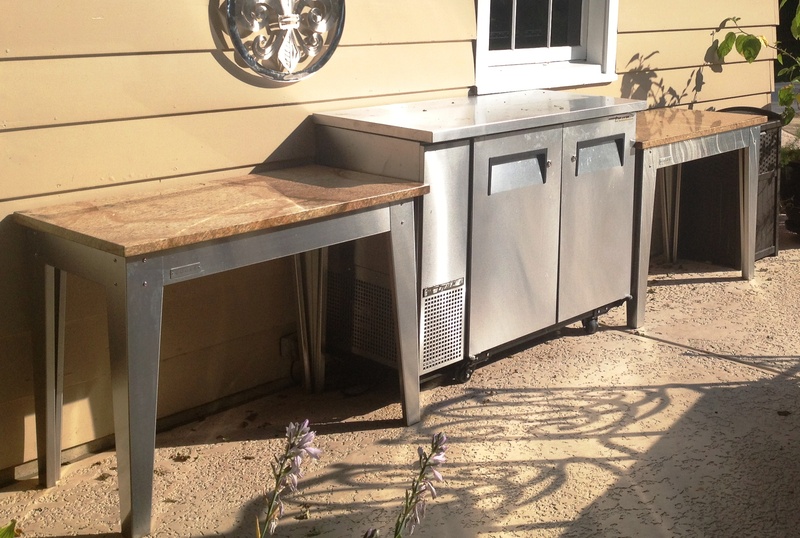 This outdoor coffee table or prep station features a premium granite or steel top, just like your indoor kitchen. 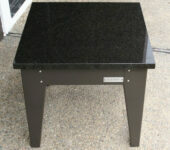 We have hundreds of stones available. With a standard 3cm edge, this top is easy to clean, and a great value. 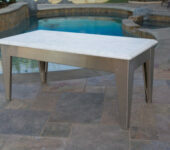 The Laguna Side table is a great way to experience stone countertops and table tops in the outdoors. 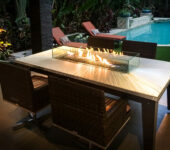 Supported with a laser cut and formed 304 stainless steel base this table is very heavy duty. 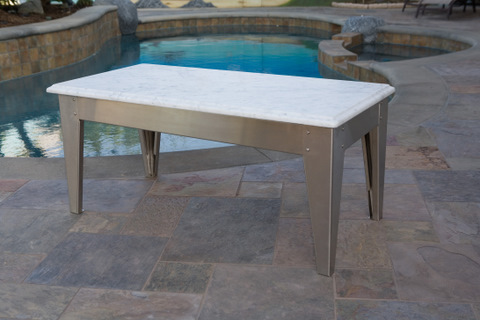 Our carefully formed round legs add a classic light metal accent to your space. 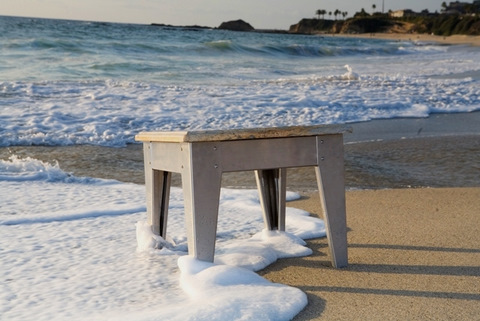 We created an open, airy base without sacrificing heavy duty durability. BASE MATERIAL: 304 Stainless Steel, 316 Stainless Steel. Powdercoated, Brushed, or Plated.